Once you start to use Qi charging, it really is hard to go back to any other way. Using a cable just feels archaic. Having my G3 not be Qi has been a real let down. So this weekend as I'm testing the Galaxy S6, it was the perfect time to try out some Qi lifestyle again. 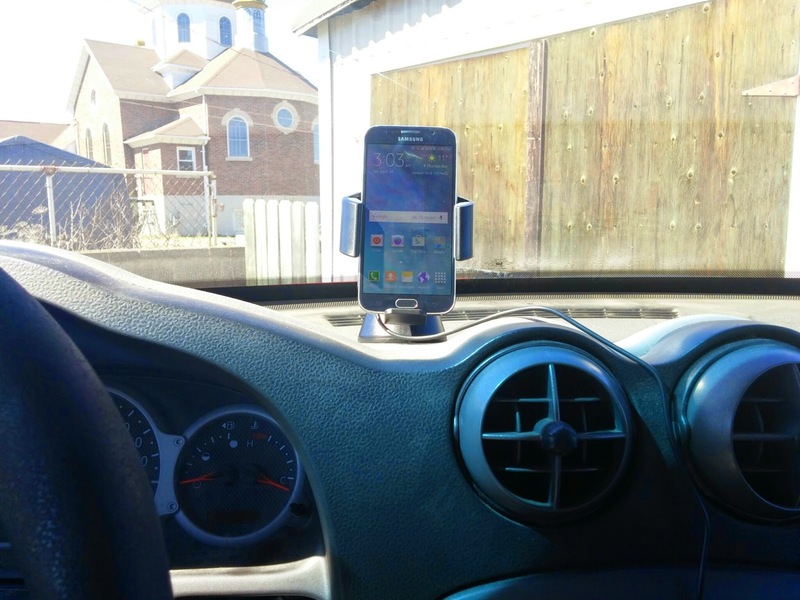 Tylt makes some really good products and I'm glad for the opportunity to test out their car dock set. 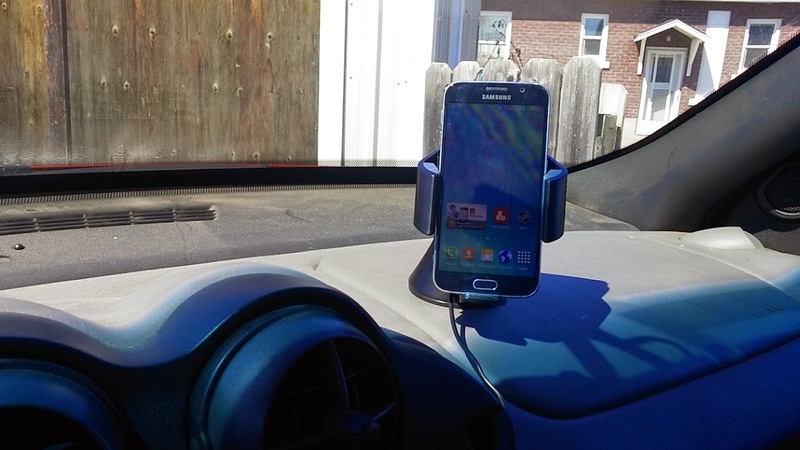 It's sturdy, and the swivel mount really let's you put it anywhere and just tilt the head unit to your liking. Finding the right spot to put it on your phone is probably the trickiest part of using it at all, as adjustments and placing are very easy. To stick it down, make sure it's on a clean spot and lower the back lever to hold it in place. The suction, along with their microgrip material (think of it like that 'pugoo' stuff out there) really holds it in place. The cradle is fully adjustable to allow for up to even a 6" phone, just press a button on the back at the top and it opens the arms wide, and then you just squeeze them close to your phone like a nice hug.. And once the arms are around the device, it can still easily be lifted straight up out of it, but won't jiggle forward and fall out. 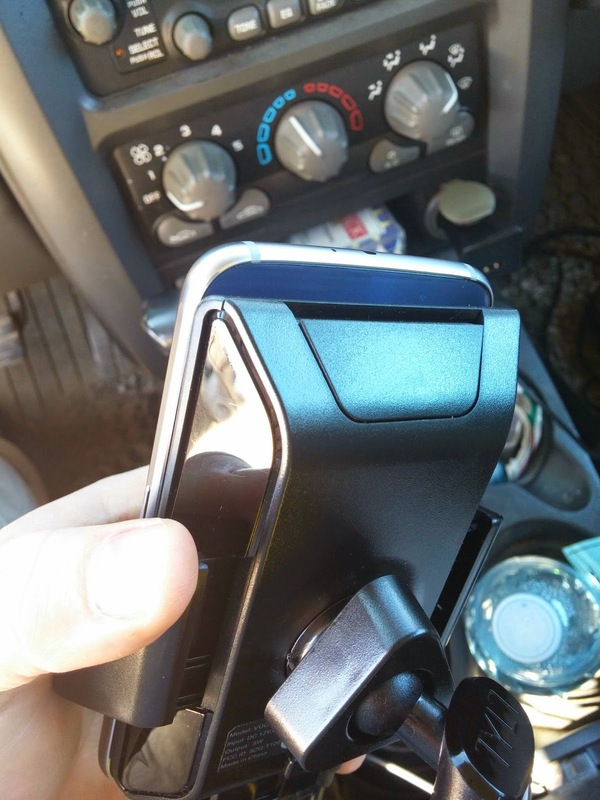 If you need to adjust the height of where the phone sits so the coil gives it the best charge, you can adjust the bottom 'chin' a few clicks up or down as you require. 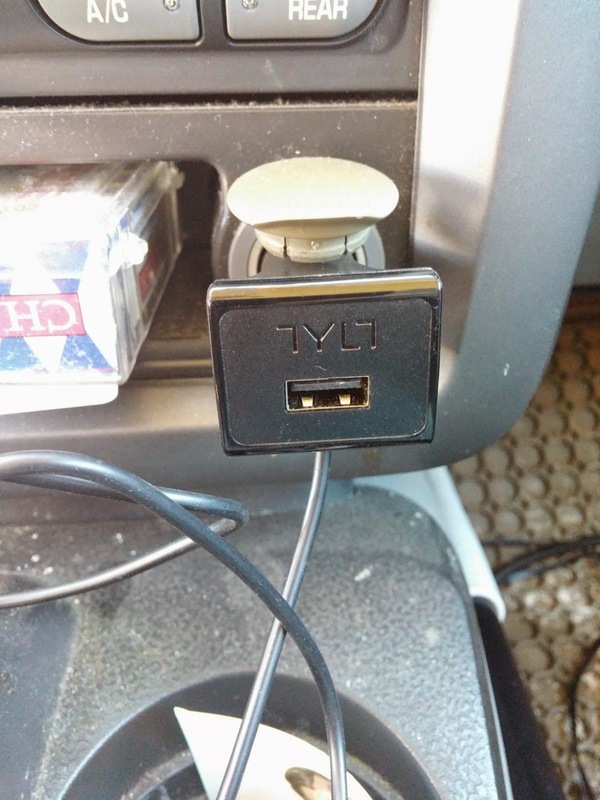 The cable it comes with to power the coil plugs into your cigarette lighter and then has a second USB port, so that your friend who's riding along can also charge their phone at the same time. Some might get a little queezy at the $80 price point, but this, like all of Tylt's accessories, is a well built, stylish looking item and is probably the best for securely holding your phone than any else I've seen out there.